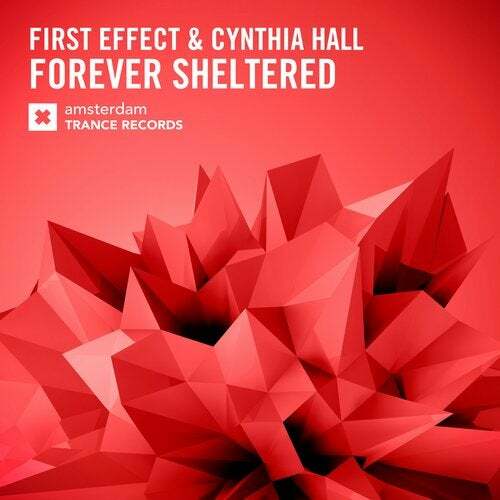 Flying high from their Beatport Trance Top 10 hit 'Seriously' with Reorder on Monster Force, Belgian duo First Effect show us once again what they're capable of and it's our turn to bring it to you here on Amsterdam Trance Records. They are not coming alone either! Teaming up with the talented Cynthia Hall who is no stranger to the RNM group of labels with smash hits including 'Step Towards The Within' with DRYM, 'Sunflowers' with A.R.D.I and 'Slave to Doubt' with Matt Bukovski. These two forces combine to give us 'Forever Sheltered', a perfect lesson in straight up euphoric Trance. The boys haven't held back in the studio on this one with delicious leads and pounding bass, top notch melody and gorgeous atmosphere. Cynthia's vocals shine once again and provide the perfect finish to a storming track.